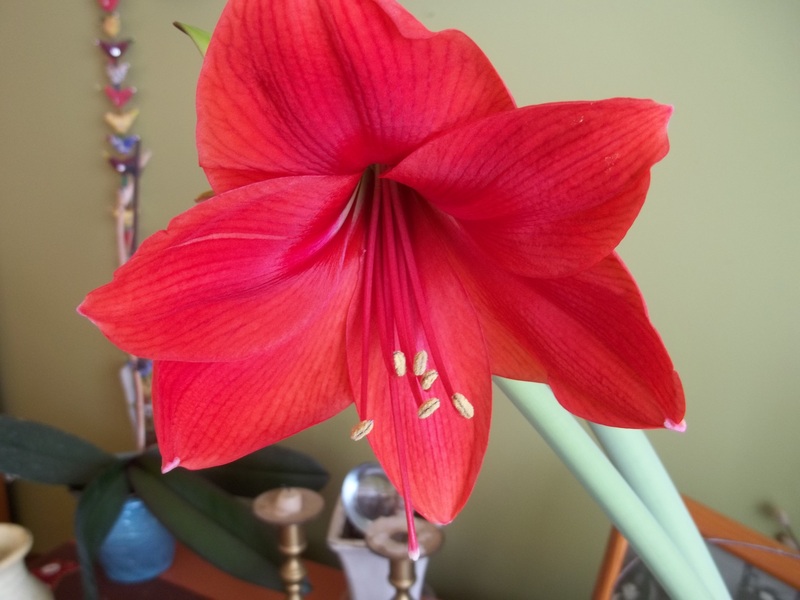 I got an Amaryllis bulb for Christmas and it is finally blooming!! Such beautiful flowers!! I have four buds on two stalks!! I hope the other buds bloom soon!! 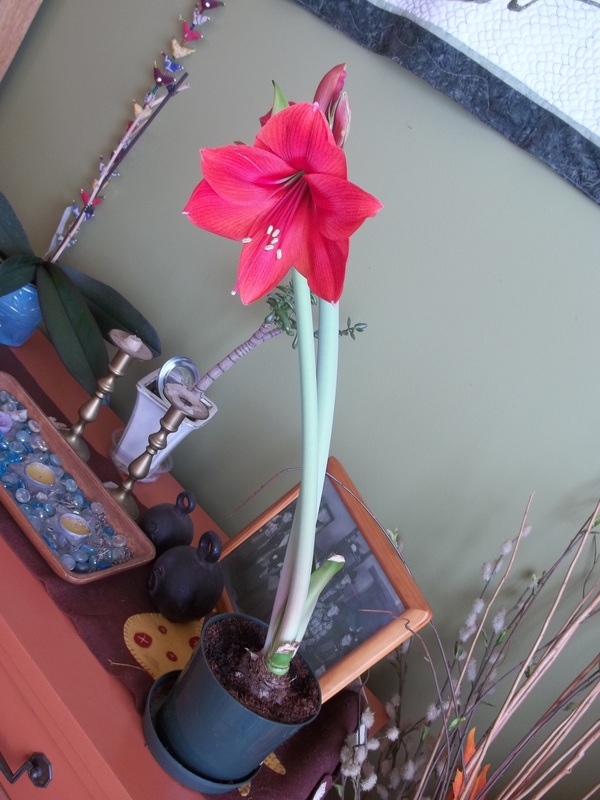 This entry was posted in Gardening and tagged amaryllis plant, blooming, forcing bulbs, gardening, indoor bulbs. Bookmark the permalink.